Malampaya Foundation Inc. (MFI) and the provincial government of Oriental Mindoro recently held five-day intensive reef-check training in the town of Puerto Galera. Ten volunteers from the public and private sectors underwent the training that is aimed at arming members of the local community with the skills needed to monitor and conduct sea surveys, particularly in marine protected areas located in seven towns of the province and in Calapan City. Oriental Mindoro Governor Alfonso A. Umali Jr. and other local officials have been pushing for more pro-active measures in protecting and rehabilitating reefs in coastal areas by implementing regular monitoring of reef health in collaboration with non-government organizations like MFI and Conservation International (CI). In 2004, the province passed a provincial ordinance designed to protect and rehabilitate coastal marine resources with stiffer penalties for violators. Carina Escudero of Reef Check Philippines, this year’s dive and reef check trainor said she was impressed with the performance of the trainees who were quick to learn the scientific techniques in data collection under the sea. “We cannot control nature, but we can control what humans do,” Escudero said. She also emphasized that the whole reef check activity will give a true picture of the condition of the underwater ecosystem. Escudero also expressed optimism that more volunteers can be tapped in Mindoro since anybody is capable of learning how to conduct underwater surveys. Ben Stacey, a member of the US Peace Corps, also acted as a senior lecturer for the duration of the training. 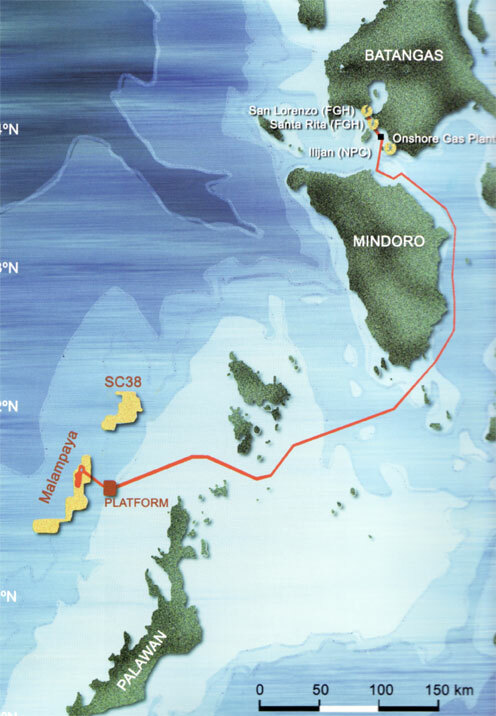 MFI Executive Director Karen Agabin said Malampaya has given special attention to the Verde Island Passage Marine Corridor, the area that traverses thousands of kilometres of the waters between Mindoro and Batangas. Reef check activities are part of the said corridor’s conservation program in which Malampaya has taken an active part since a huge chunk of its operations are off-shore and marine-based. In Puerto Galera, the reef checkers took several dives in selected areas, mostly 50 meters away from the shore and three kilometres from the nearest river. It was noted that based on the actual survey conducted by the trainees, the areas have abundant butterfly fish, healthy corals, clams and other types of fish. Malampaya and its partners share in the commitment to sustainable social and environmental development in areas where the Malampaya project operates, working with groups and communities in various projects geared towards the betterment of the environment, education, and health. Ben Stacey, of the US Peace Corps joins with the other local Filipino divers on board a banca for a reef check survey in a selected marine protected area in Puerto Galera bay in Oriental Mindoro; right The ten volunteer reef surveyors from Oriental Mindoro bring their swimming paraphernalia as they prepare for a deep dive in Puerto Galera under the direct supervision of Carina Escudero of Reef Check Philippines. (standing, fifth from right).